I have received some emails from people asking how to interface a genuine Arcade cabinet to their PC. 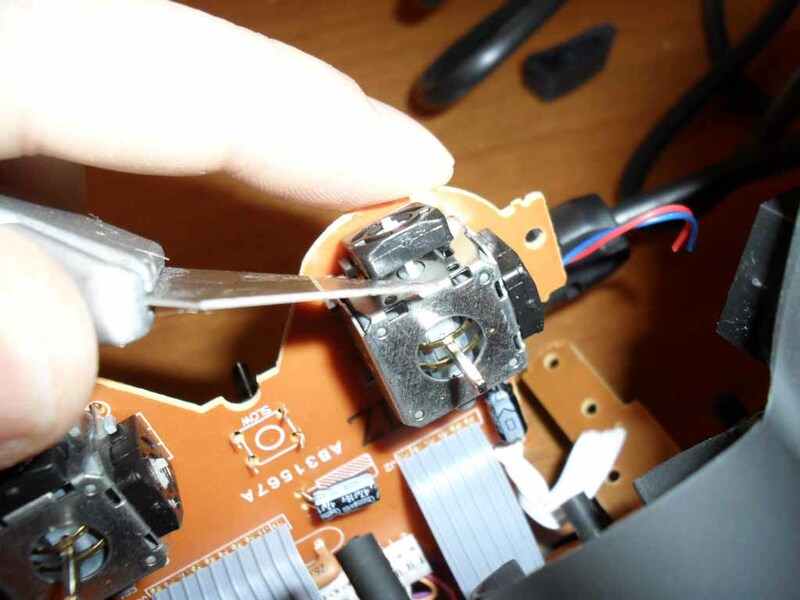 There are various ways, i must say, and surfing on the net you can easily find detailed projects relying on USB PC driving wheels, expensive interfaces and/or no more available obsolete hardware... but there's a better way! WARNING !! : some soldering work is mandatory for this project. If you are not aware on how to solder safely please let the work been done by someone else: better safe than sorry!! Before starting, let me underline that the following procedure works for potentiometer driven cabinets and with jamma harness. 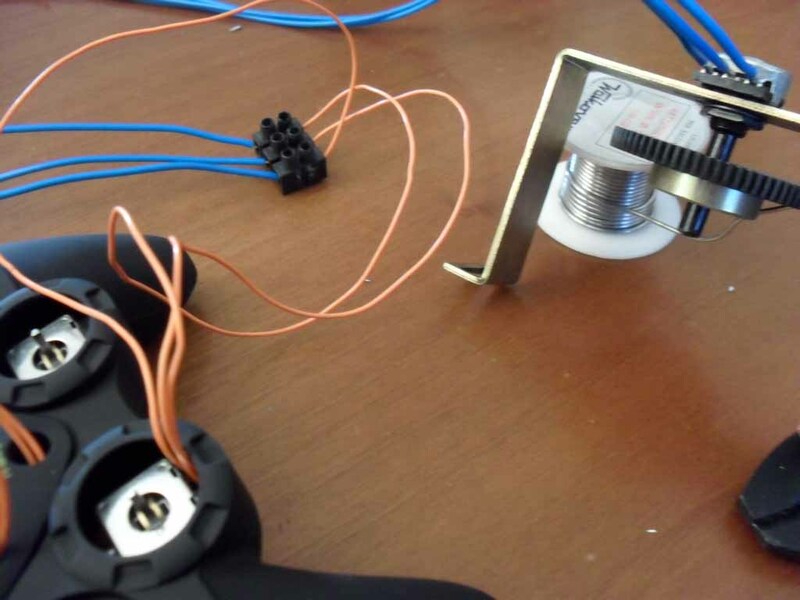 Before starting your project be sure about the type of control your wheel is equipped with (optical or potentiometer) and the kind of harness is has! !!. About the PC gamepad: i noticed that some gamepads have a deadzone applied at a firmware level. This means that it's not removable! The deadzone is essential playing with the pad sticks, but with your cabinet wheel/steer is useless (makes some games unplayable!). There are games that need a perfect control on the middle zone of the steer (WEC le Mans, Hard/Race Drivin' series, Model 2, etc) so the use of a gamepad with no deadzone is the only option to master those games. The only gamepad i found, up to now, with no deadzone at all is the Xbox360 NO wirless controller. It's more expensive than other pads but will save you the buy of more than one controller and do again the gamepad hack. The PC-to-Jamma interface is used to send the video signal and digital inputs (i.e. 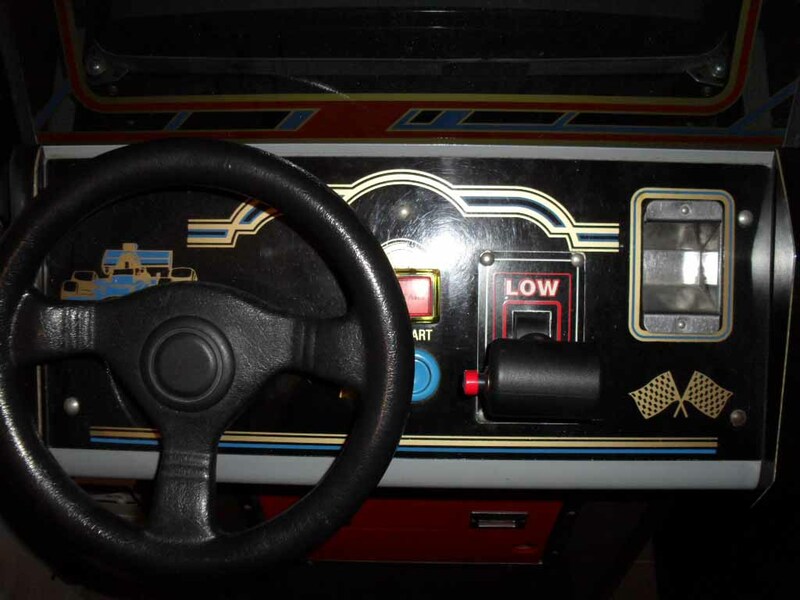 start, shift, turbo, etc button). Those PCBs are generally very user-friendly so i will not spend too much time on this. I will not spend time on point (d), also (there are plenty of forums and sites explaining this in deep). 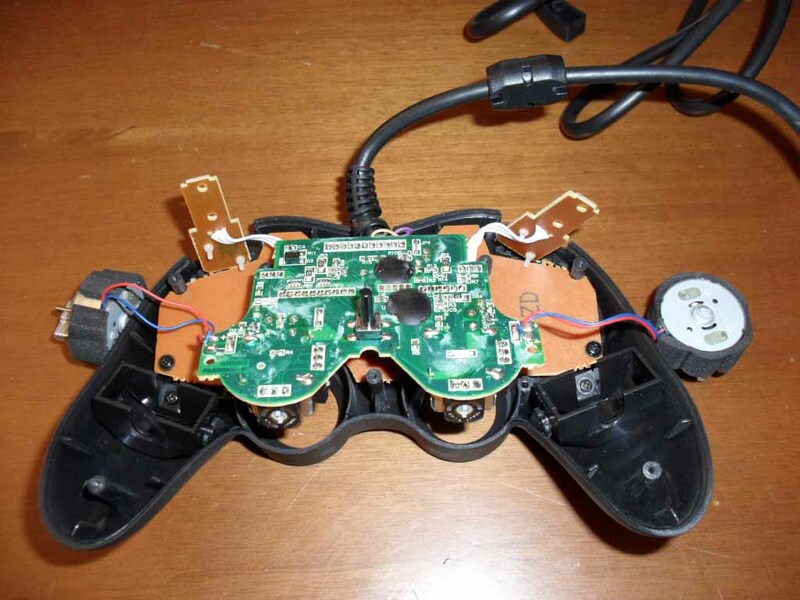 First of all, remove the plastic cover of the joy and have then access to the solders of the analog sticks of the joy. Generally there are two of them. Every single axis (two axis per stick) can be used for the drive wheel itself or the analog pedals (if present) of the cabinet. 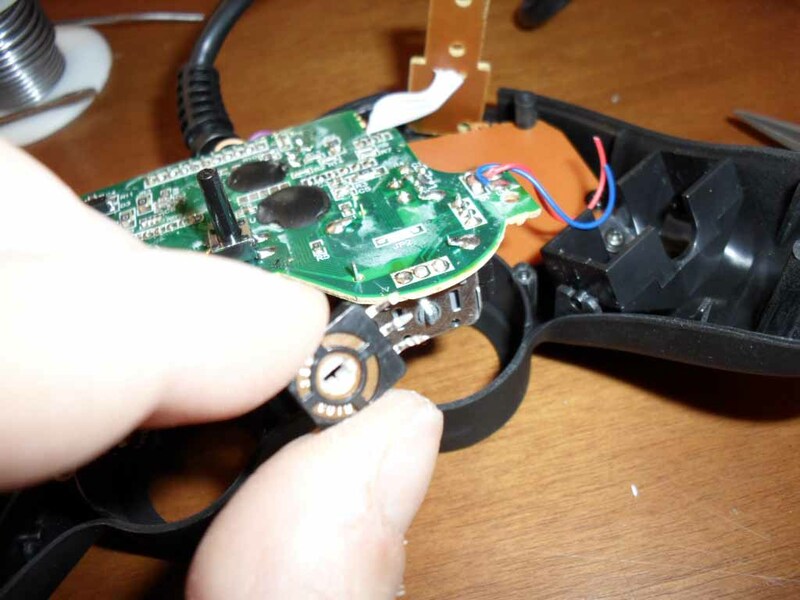 Remove one or more potentiometers (pots) from the joypad. Every pot corresponds to an analog axis. In my cab, for example, i was in the need for only one axis (the steering axis) because brake and accelerator were digital. 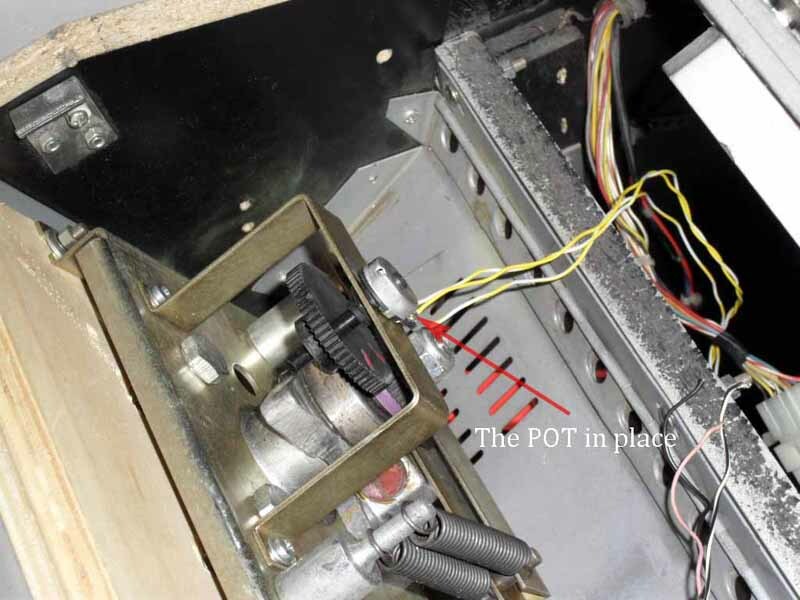 If your cabinet accelerator is also analogic, remove a second pot, and so on. Once your pots are out-of-the-circuit, measure the resistivity value between the two more external pins with a digital voltmeter. This value is fundamental! You will in fact get single turn, linear, 6 mm diameter pots with that resistance value. 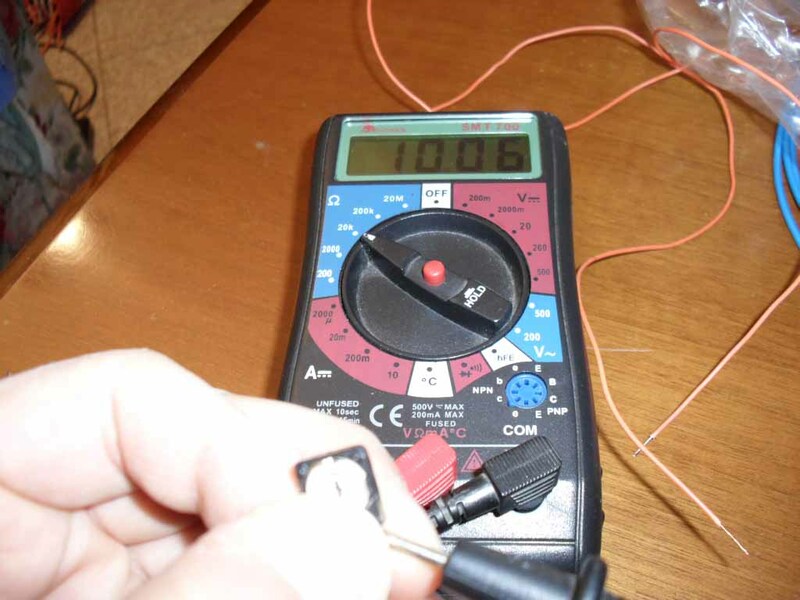 A common value for those gamepad pots is 10K Ohm. 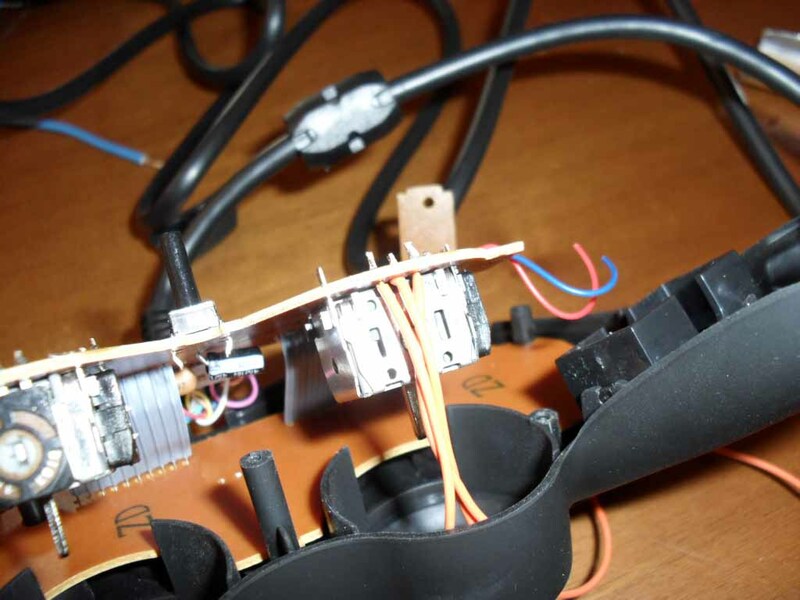 Now solder three cables for each axis in the holes left on the joypad. Then, you have to solder the cables to the pot. You can use a mammuth connector to simplify the correction of eventual mistakes in the pinout. We are almost there! Now place your pot at the back of your wheel and manually calibrate it. 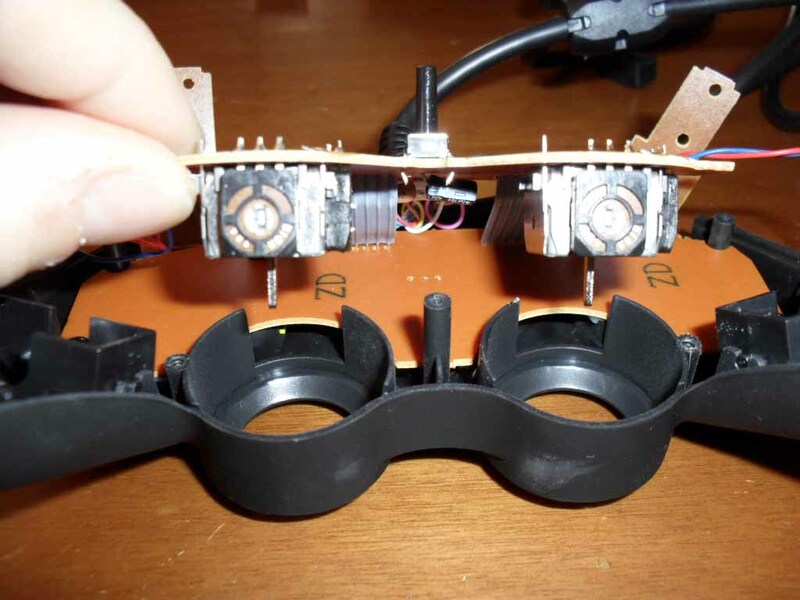 The general procedure can be ported to optical wheel cabinets modifying the point (c) by using a mousehack but you should google for details on this.